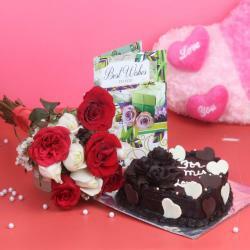 Product Consist : Hand Tied Bouquet of 10 Red and white Roses along with 1.5 Kg Heart Shape Chocolate Cake. 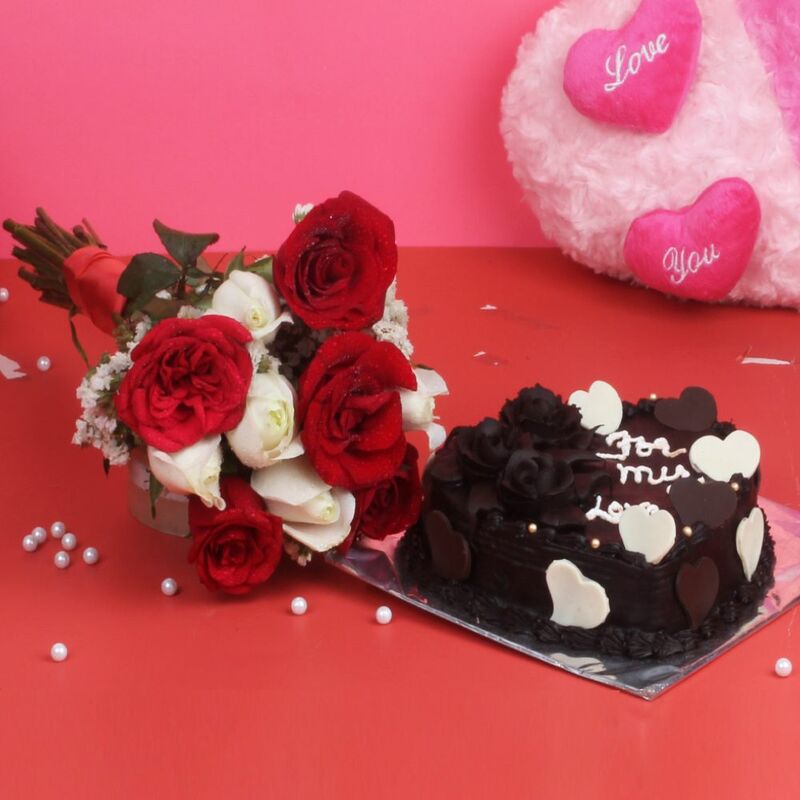 Let your special one know how much he/she means to you by pampering him/her with this immaculate combo of a 1.5 kg heart shaped cake in Chocolate flavor, and a bunch of ten gorgeous red and white roses. 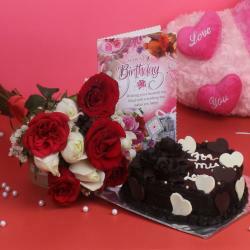 Thoughtfully put together to make your sweetheart feel special and cherished, this is an impressive combo of flowers and cake from Giftacrossindia.com. The cake is heart shaped, weighs 1.5 kg, and is chocolate flavored, which makes it romantic and divine. A bunch of ten fresh and fabulous red and white roses is also included in the combo to impress your beloved. Such a splendid gift is bound to touch the recipients' heart for sure. So, send this combo online from Giftacrossindia.com and give your special one a reason to smile. 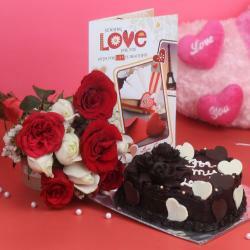 Product Consist: Hand Tied Bouquet of 10 Red and white Roses along with 1.5 Kg Heart Shape Chocolate Cake.